I love L.A so very much…The city is full of energy and there are so many different areas that I love for different reasons…West Hollywood & Beverly Hills have amazing cafe’s and shops and palm tree lined streets, downtown has such a cool Chinatown & museums like The Broad, and Venice & Santa Monica of course have the ocean as well as cute shops & restaurants…It is all so much fun to explore! It was very cool to get the chance to fly over all of it with Robin Petgrave & Tomorrow’s Aeronautical Museum (who offer after school programs giving children an affordable pathway to becoming a pilot- so cool!) who took us high above the downtown, Hollywood sign & Venice & Santa Monica where we spotted a ton of baby lion sharks beside the Santa Monica Pier as well as two dolphins - It was breathtaking!! 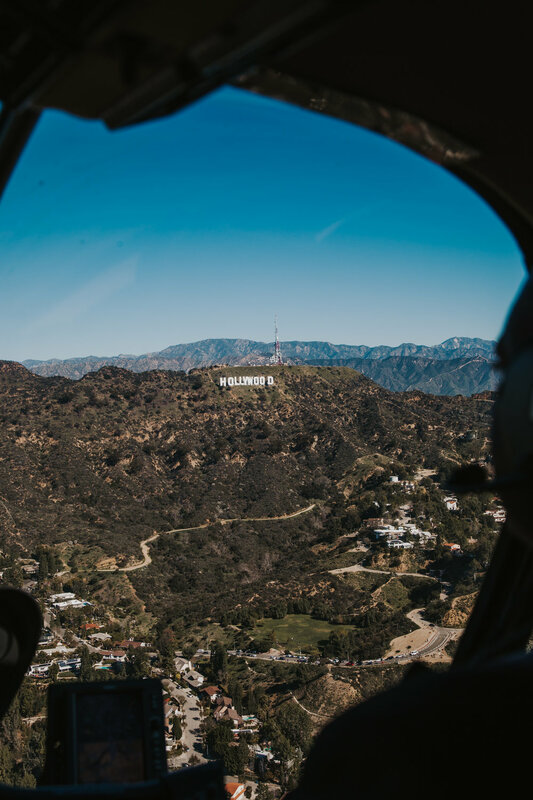 I love getting to see a city from above - and hanging out of a helicopter over some of my favourite sites was something I will never forget.